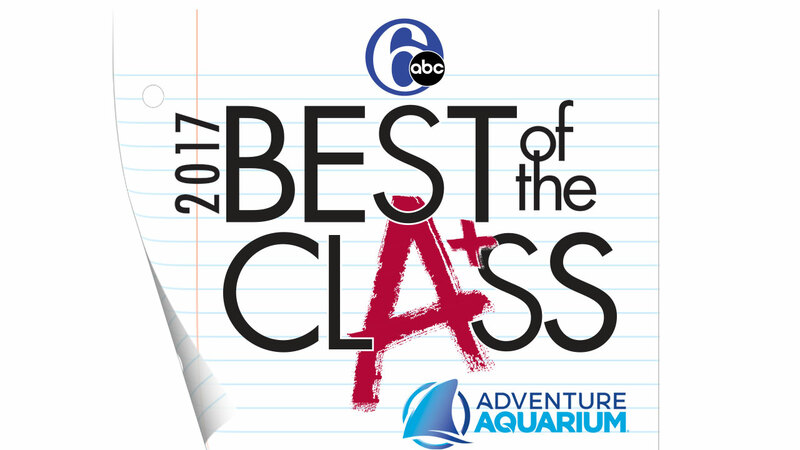 Every year 6abc celebrates the region's best of the class. Every year 6abc celebrates the region's best of the class. This year, the day filled with expert advice and networking was at Adventure Aquarium in Camden. Here's a look at how it all went down. The 2017 Best of the Class crew describes themselves and their peers in three words. 6abc's Best of the Class for 2017 is an impressive group of more than 200 valedictorians from around the region. The best way to get to know them is to ask them about themselves directly. We started off with a breakdown of themselves in three words. We asked these top achievers to give tips to other students for a 'How to Guide' on becoming the best in class. We know these students worked really hard to achieve this level of academic distinction. So we asked these top achievers to give tips to other students and create sort of a 'How to Guide' on becoming the best in class. Here's what these talented kids had to say about our world today. Our graduating seniors got a chance to see some big events over this last year. They saw a new president inaugurated and some increased tensions here and abroad. So we asked our students what they think of their world today? The Best of Class discuss how they plan to make a difference in the world and solve some major issues. We asked our 2017 Best of Class students how they plan to make a difference in the world and solve some of the biggest issues facing our us today and in the future. Here is how these bright kids plan to change the world. Various experts offered advice on dealing in finance, professional branding and time management. At this daylong event, 6abc offered up several different workshops featuring experts dealing in finance, professional branding and that all important time management to educate and inform our students. Here are some future career plans of our best in class. The 2017 Best of the Class members outline their career plans for the future.